The second Qiantang River Cultural Festival has kicked off in Hangzhou. Opera artists are ready for a performance at a temple fair held in Qianjiang New City, Hangzhou. 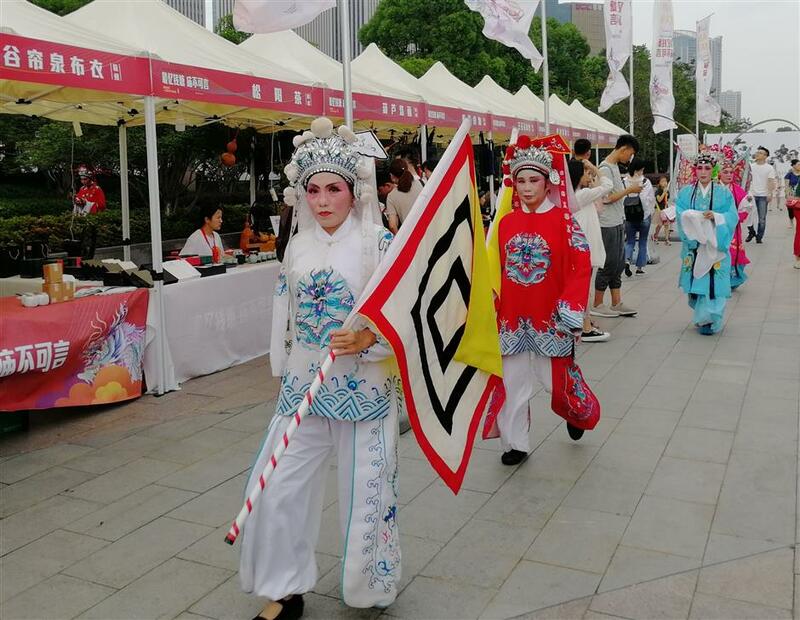 The second Qiantang River Cultural Festival is underway in Hangzhou, showcasing a series of events upcoming in the next couple of months. More than 1,500 people attended the opening ceremony on June 28, including cultural ambassadors of the festival and delegates from Qiantang River Basin cities within Zhejiang Province. 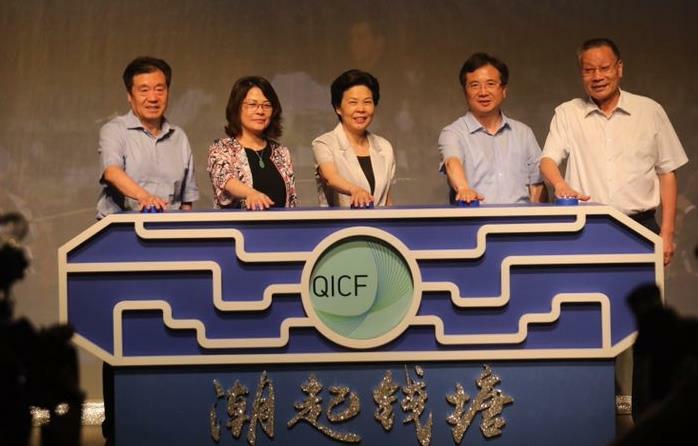 At the Qiantang River Basin Cultural Industry Development Conference held on the same day, the organizers released a report on the cultural industry development in the cities of Hangzhou, Jiaxing, Shaoxing, Jinhua, Quzhou and Lishui. The report shows that in 2016 the total value of the cultural industry in Zhejiang Province reached 323.30 billion yuan (US$ 48.9 billion), accounting for 6.84 percent of gross domestic product. And the output of these six cities in the Qiantang River Basin held for nearly 60 percent of the total GDP of Zhejiang Province. While Hangzhou still spearheads the development in cultural activities with 38.6 percent of the sector in Zhejiang, cities like Quzhou and Lishui are catching up with growth rates ranking fourth and seventh within the province. “These cities have their own advantages culturally or geographically. For example Jiaxing benefits from its proximity to Shanghai; Shaoxing is a city with rich cultural and historical legacies; Jinhua shows its importance in the Belt and Road Initiative; Quzhou is the place where the southern branch of the Confucius family lives and prospers; Lishui boasts rich ecological resources,” Hu Jian, chairman of the Zhejiang Qiantang River Cultural Research Society said. Three other related projects have also been launched. They include an e-commerce platform selling Qiantang River cultural products, a documentary recording the old village life in the Qiantang River Basin and a documentary tracing traditional craftsmanship in the area. The second Qiantang River Cultural Festival kicked off on June 28 in Hangzhou. 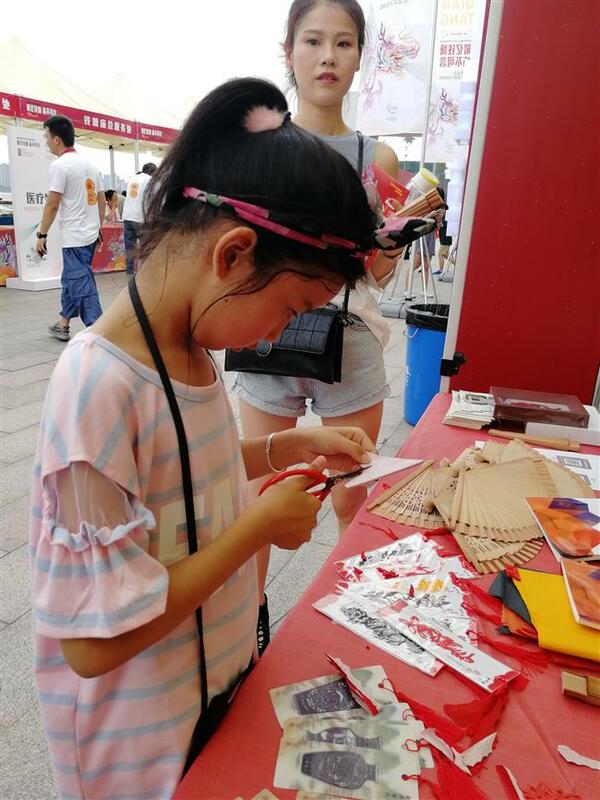 From June 28 to 30, a temple fair showcasing local crafts and workmanship from Qiantang River Basin was held along the embankment of Qiantang River in QIanjiang New City. Visitors tasted and bought products including silk umbrellas from Hanghzhou, papercut from Jinhua, ceramics from Longquan County in Lishui, and also a variety of local specialty food such as Longyou rice cake, Wuzhen Gusao cake and Changshan imperial noodles. There was also a workshop where visitors could experience hands-on how to make these handicrafts themselves. “We have no lack of stories in our traditional culture and craftsmanship," Ye Meng, organizer of the fair and founder of a video company focusing on traditional craftsmanship, told Shanghai Daily. "What we need is a proper representation. I hope the fair will allow more people to know about our local cultures and bring revenues to these artisans." 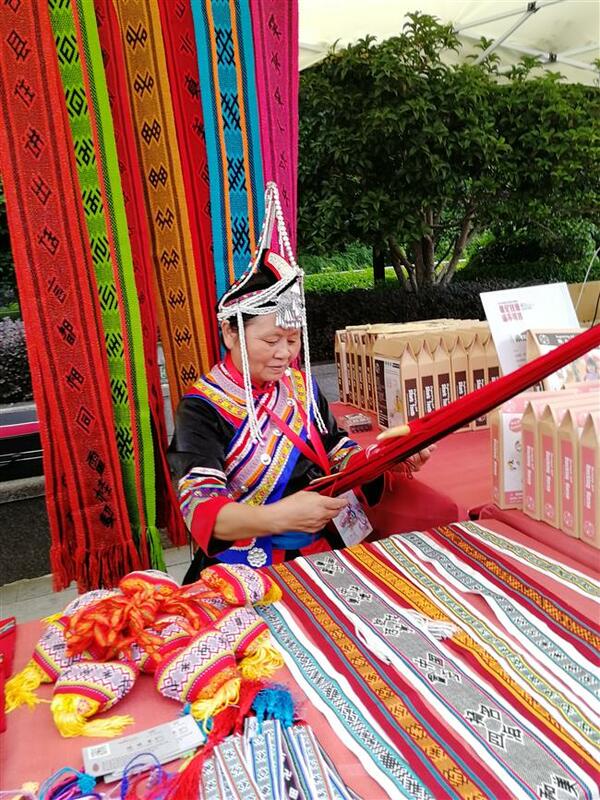 A woman from Jingning County in Lishui City weaves traditional garment pieces at the fair. She is from a minority group living in southwest Zhejiang. A girl tries her hand at paper cutting at one of the stalls at the temple fair.